Renowned monitor manufacturer SmallHD just added a couple of affordable 7-inch monitors to their 700 series monitor line-up. The new 701 Lite and 702 Lite monitors are the perfect tools for DSLR operators and those DoP's using Super 35 cameras with LOG gamma. This entry was posted in Accessories, News and tagged SmallHD 702 Bright, SmallHD 702 Lite, SmallHD 701 Lite, Gear, SmallHD, Accessories, Monitors on 18th February 2016 by Visuals. 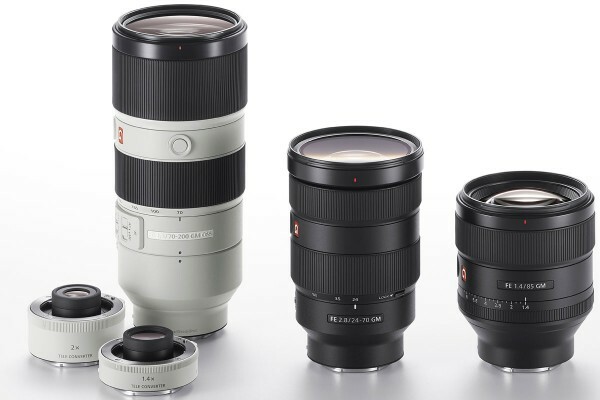 Earlier this month, Sony unveiled three brand new lenses including the much awaited 24-70mm F2.8 GM Full-Frame lens, the 85mm f1.4 and the telephoto 70-200mm f2.8 OSS. All three new lenses are part of a brand new line-up called G-Master series - targeting Full-Frame stills photographers and videographers alike. This entry was posted in Lenses, News and tagged Sony FE 70-200mm f2.8 OSS, Sony FE 24-70mm f2.8 GM, Sony FE 85mm f1.4, Sony G-Master Series lenses, Accessories, Lenses, Sony on 17th February 2016 by Visuals. 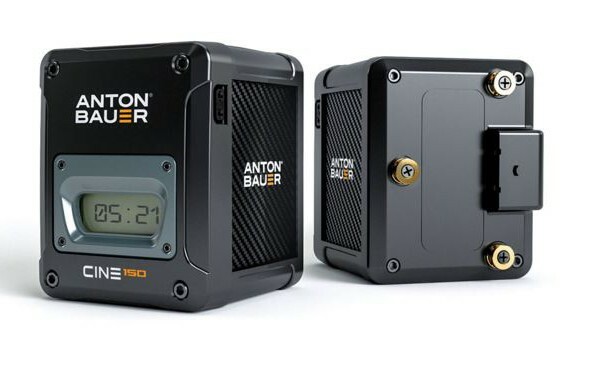 Announced at IBC 2015 last year, Anton Bauer's new CINE range of batteries for high-end digital cinema cameras such as ARRI ALEXA Mini, Panasonic Varicam 35 and RED Weapon are designed to be the safest and most durable mobile power solution for the modern professional cinematographer. Plus check out a crazy Litepanels Astra durability test that may surprise you. This entry was posted in Accessories, News and tagged Cine Batteries, Anton Bauer, Anton Bauer CINE Batteries, Accessories, ARRI Alexa MINI, varicam 35, Sony FS7 on 1st February 2016 by Visuals. The SmallHD 501 and 502 monitors have been really popular with handheld gimbal stabiliser operators and FS5 and FS7 owners. The units are really well built, feature incredible resolution and colour reproduction as well as a vast array of image monitoring functions such as Peaking, False Colour, Zebras and are the only monitors in this price range to support 3D LUTs for monitoring. This entry was posted in Accessories, News and tagged Video Tutorials, Gear, 3D LUTS, SmallHD 501, SmallHD, Accessories, Tutorials, SmallHD 502 monitor on 29th January 2016 by Visuals. The good news is that AVtec are bringing out a couple of very affordable monitors for those on a tight budget. The XHD070 and the AVtec XHD070 Pro both cost below £180 and feature ultra-thin 7-inch IPS displays with 1280 x 800 resolution and are packed with professional features for focus and exposure. This entry was posted in Accessories, Cameras, News and tagged Budget Accessories, AVtec monitor, Avtec XHD070Pro Monitor, Accessories, dslr, Monitors on 12th January 2016 by Visuals.